Last week, I participated in the Stripe CTF 2.0 challenge, which focused on web application vulnerabilities. 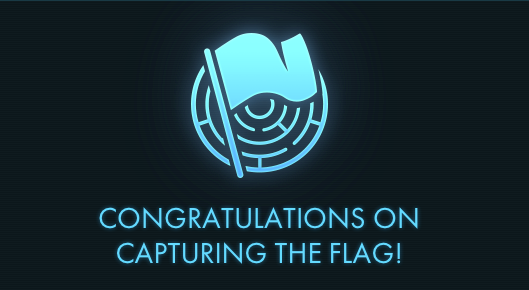 It was my first time participating in a CTF event, and Stripe made the event fun, and relatively accessible, but still challenging. With a bit of determination and help from irc, I’m happy to say I made it through all eight levels. I was originally planning on writing up a short explanation of each level and how I solved it, but several extensive walkthroughs have already been posted, so I’m not really inclined to do that. Instead, I figured I’d highlight a few of the things I learned through the event. Note: I had some prior experience with exploiting common web vulnerabilities from a course I took while at University of Michigan, which gave me a good understanding of things that were guaranteed to show up, like SQL Injection, XSS and CSRF. Level 3’s application only allowed you to execute a SQL command, so things like injecting a complete command errored out. However, I learned that by injecting a UNION statement you can effectively insert and return a totally arbitrary query, all in one statement. Level 6 featured various other forms of XSS protection, such as preventing writing any strings into the database that contained quotes. To get around this, I was tipped off to the String.fromCharCode method, which allows you to convert a string back and forth between a set of numbers. All the more reason to use proper sanitization libraries instead of rolling our own. Solving level 7 required forging an API request for a credentialed user, which was possible since a signed request was left out in the open. I read a number of sites explaining why this attack was possible, and I found Nicolas Felix’s article on exploting SHA1 to be the most informative on WHY the attack works, and VN Security’s SHA1 padding attack post to be more informative on HOW to execute the attack. I attempted to write the solution to level 8 first in Bash, then Ruby, and finally, in Python. Having never written Python before, I chose it because the machine the program had to run on was fairly locked down in terms of installing new programs, but the expansive built in library for Python had all of the pieces I needed to use. I can’t say that I have any strong feelings about it from such small exposure, but it did match my expectations of not being too different from Ruby. The whitespace rules were a little annoying, but I can imagine getting used to them. The standard docs/lib were nice, but I hard time figuring out what packages were really called when importing versus Googling (not that Ruby gem’s don’t have that problem too). In the future, I’ll have to try it again. Need help building a new web product or scaling your current one? I'm available for freelance work.